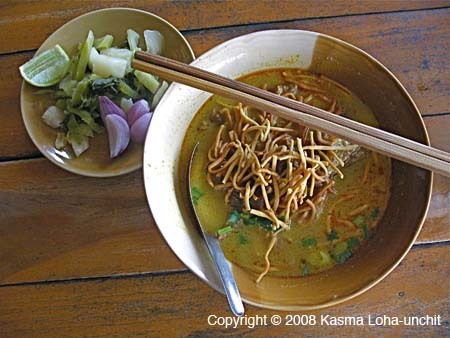 Northern-style Curry Noodles: Northern-style Curry Noodles with Accompaniments (Kao Soi). Kasma teaches this dish in Advanced Series Set B (class 1). You might enjoy Kasma's article on Northern-style Curry Noodles).